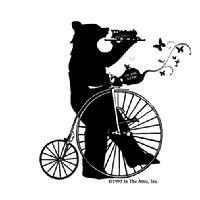 BIKE ATTIC - Your full service mobile bicycle repair shop! Offers you complete bicycle service, saving you time and money by bringing the repair shop to you. With over 20 years experience running retail bicycle shops on the North Shore of Chicago, We are fully qualified to handle just about any bicycle repair or service on-site , from basic repairs or service to a complete tuning. We also can upgrade your bicycle to the latest components or help you determine the best bicycle for your particular riding style. By bringing the shop to you, without the overhead of a Brick-n-Mortar shop, we can service your bike for less. All services are estimated before the work is done. YOUR SATISFACTION AND SAFETY IS OUR FIRST PRIORITY!